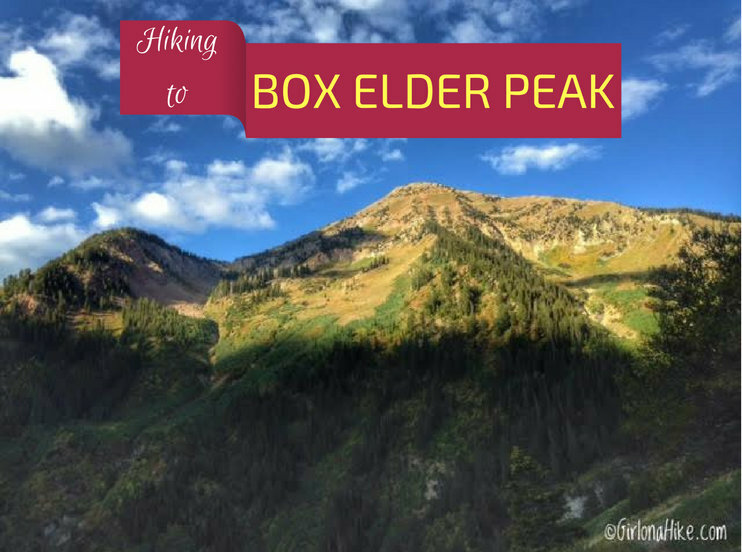 The best way to hike Box Elder Peak is to turn it into a loop hike so you get to see more of the mountain and experience a new trail. 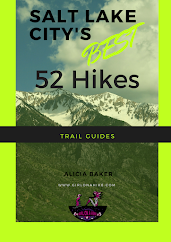 The route isn't for the beginner hiker though - the long, steep trail is sure to give your calves a workout, and leave you out of breath. 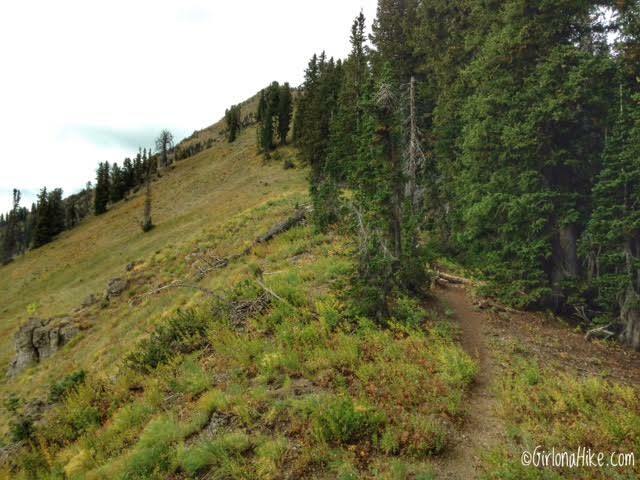 On the way to the summit, the trail gains 4,900 ft in just 7 miles - whew! 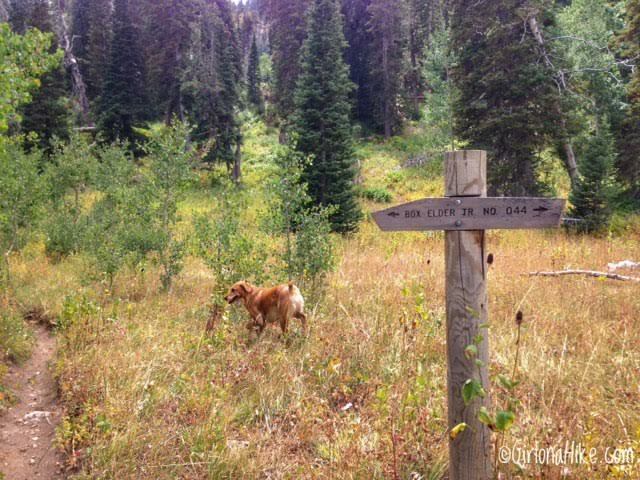 There is no water along the trail, so be prepared to carry at least 3 liters of water, plus more if you bring your dog. 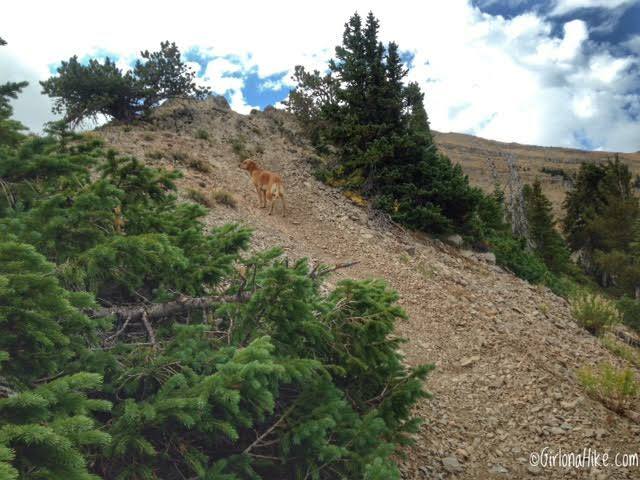 Another plus about hiking Box Elder - dogs are allowed off leash. 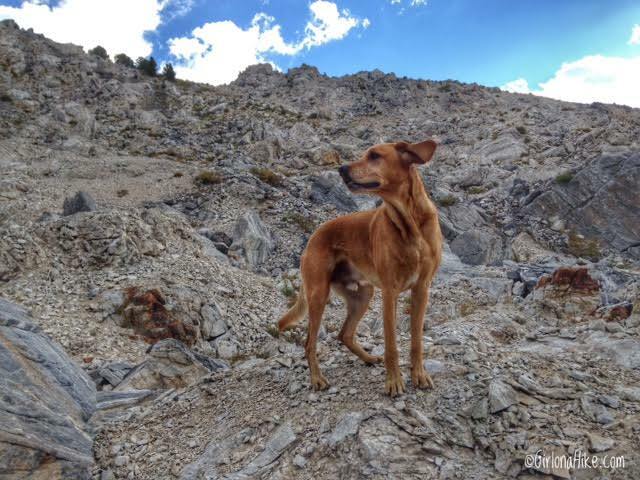 Only dogs with a lot of hiking experience in rocky, rough terrain and who have done several high mileage hikes should attempt this hike. 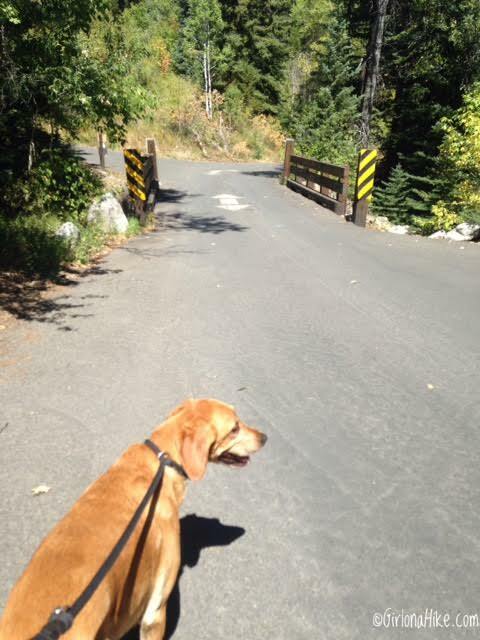 Charlie and I hike, on average, 15-20 miles a week, so he's used to doing hikes this long. 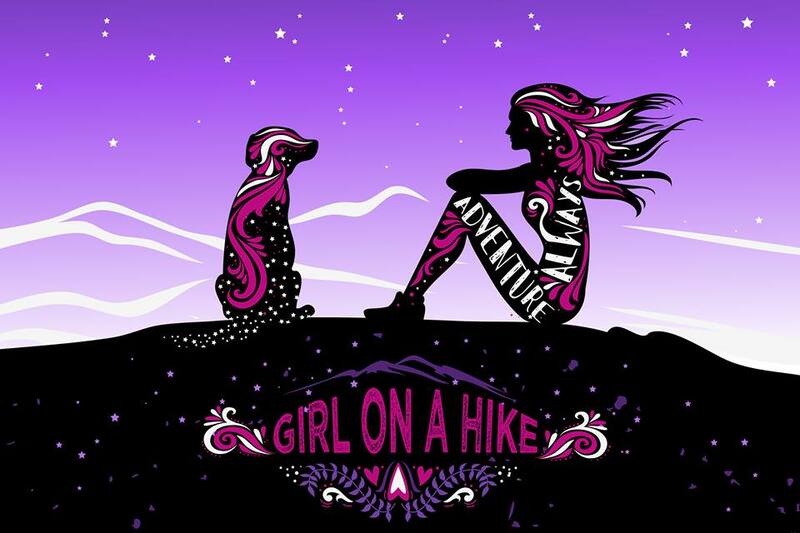 If your dog have never done more than 10 miles in one day without issues (paws tearing, dehydration, soreness, etc), this is not the hike for them. 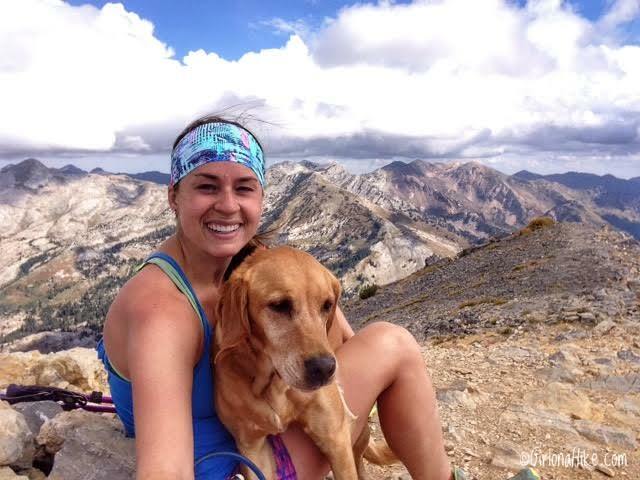 Dogs will need at least 1 liter of water on this hike. 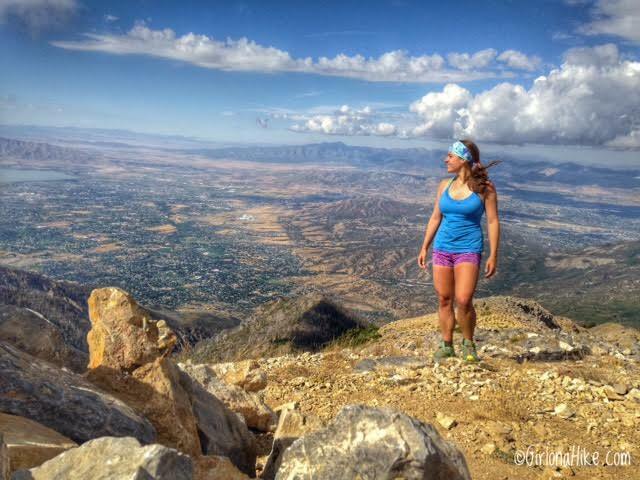 Box Elder Peak is best to summit in Summer or Fall. 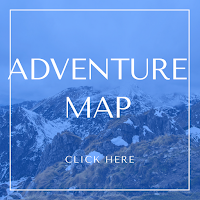 Winter and Spring will be sketchy due to snow and avalanche terrain, and may require crampons and an ice axe - only very experienced mountaineers should attempt Box Elder in Winter. From SLC, head south on I-15, and take exit 284 towards American Fork Canyon. You will now be on HWY 92 - drive into the canyon past the fee station. 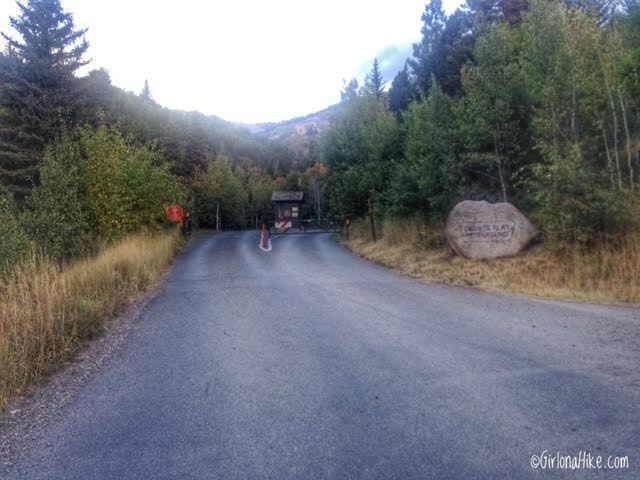 Turn left at the brown sign for Granite Flats Campground & Tibble Fork Reservoir. Drive this road for another 2 miles until you reach the reservoir. Just past the reservoir is a sharp left turn, which heads up the hill. Continue for about 1 mile until you reach the campground. If the campground gate is open (after 8am), you can park at the TH, which is about 100 yards past the entrance on the right. If the gate is locked, you can park just before the campground, on the right. There is enough space for about 4-5 cars in each area. Here is a map link. There is a $6 fee for a 3 day pass to enter AF Canyon. If you have an annual National Park Pass or annual AF Canyon Pass it is free. No permit is required. 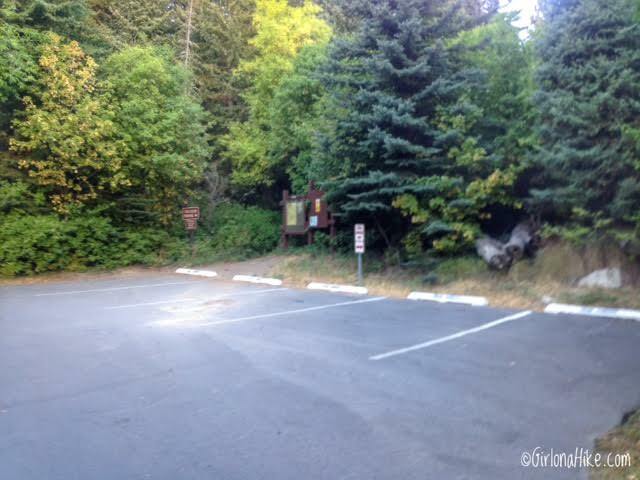 Parking is just before the campground entrance on the right. If the gate is open, you can drive through and park at the actual TH, also on the right, about 100 yards up the road. 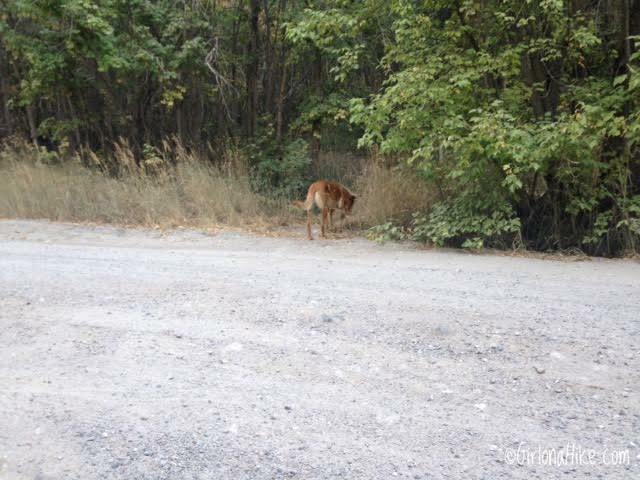 Official TH for the Dry Creek-Deer Creek #043. 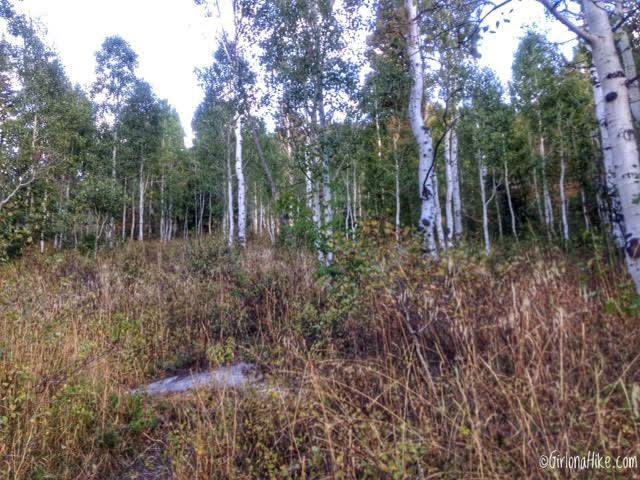 The first 1.5 miles is pleasant through a forested area. You'll cross the dirt road twice. Be careful of cars and ATVs flying down this road. At 1.8 miles, you hit the first of many switchbacks. 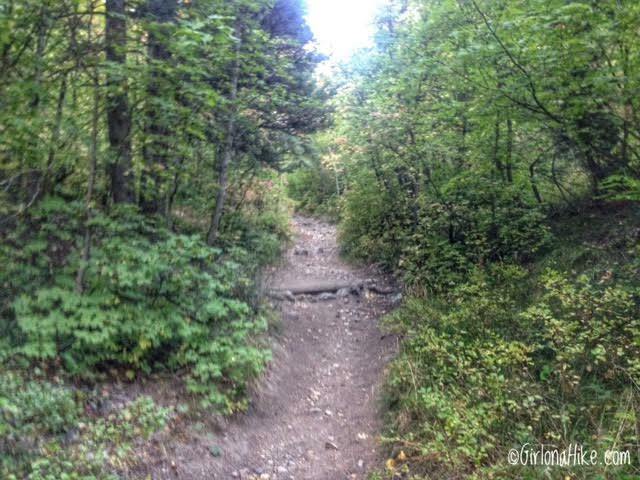 This is also when the trail begins to really gain elevation. Switchbacks through an Aspen grove. 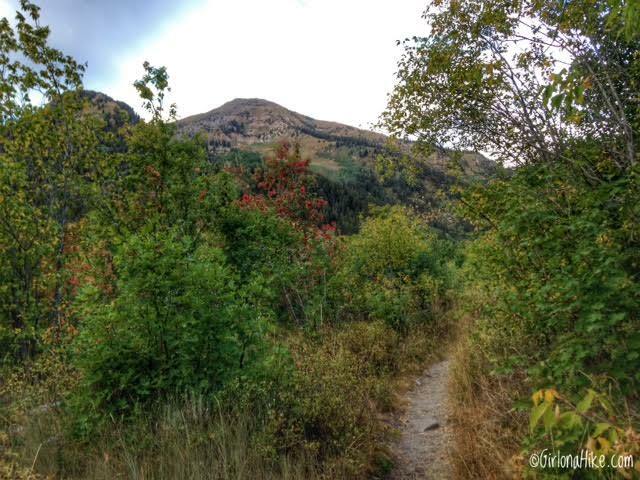 Many times I thought I may have been on the wrong trail, because it keep heading north, and away from Box Elder. I kept checking my map, and I was on track, so I just let the trail lead me up. 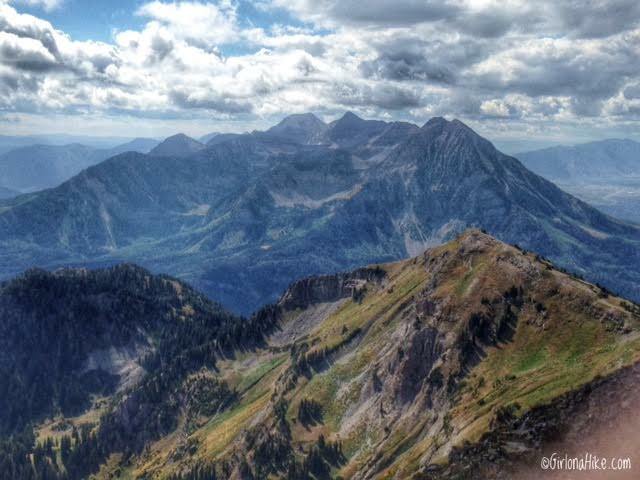 Although Box Elder Peak stares at you the entire hike, it seems really close, and like you are almost there. Not quite. It's actually much further than you think. 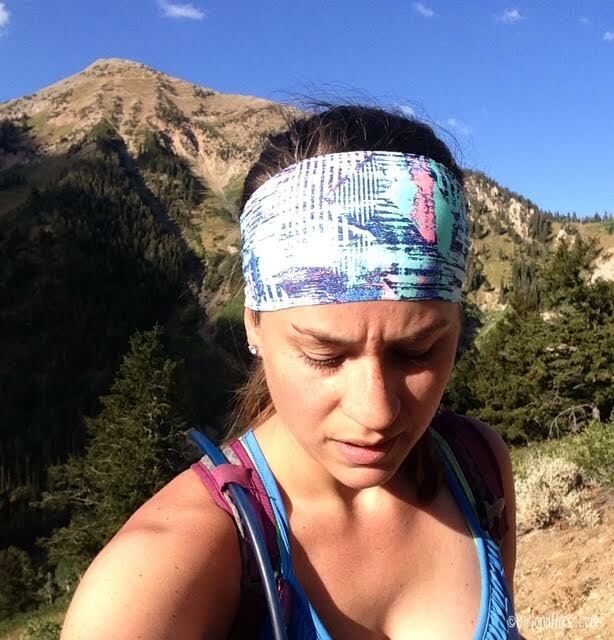 Working hard uphill with my newest addition to my Fitness Fox Headband collection, called Rio Shuffle. 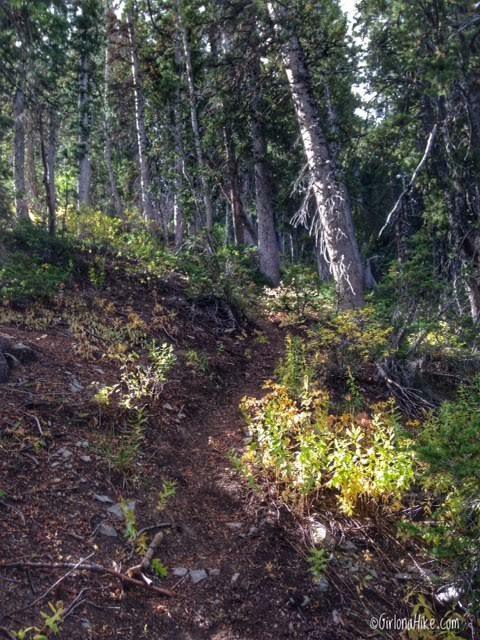 Note that the trail doesn't lead directly to the main saddle. It actually takes you up higher on the ridge to a flat meadow to a 4-way intersection. First, you will cross this white boulder field. 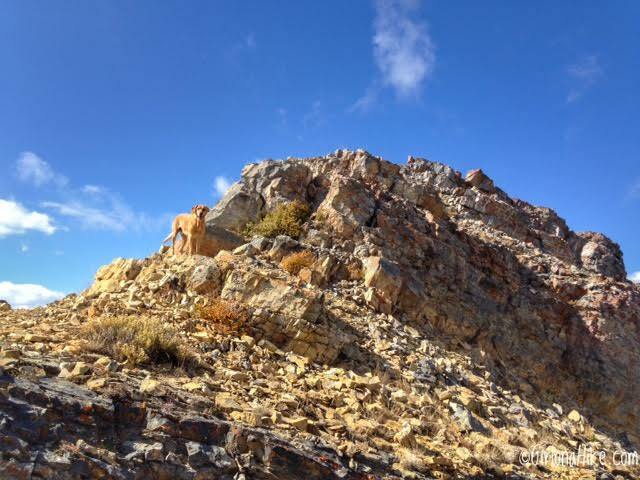 Charlie loves hopping on rocks - the wind makes his ears fly and look super cute! Finally at the 4-way intersection. 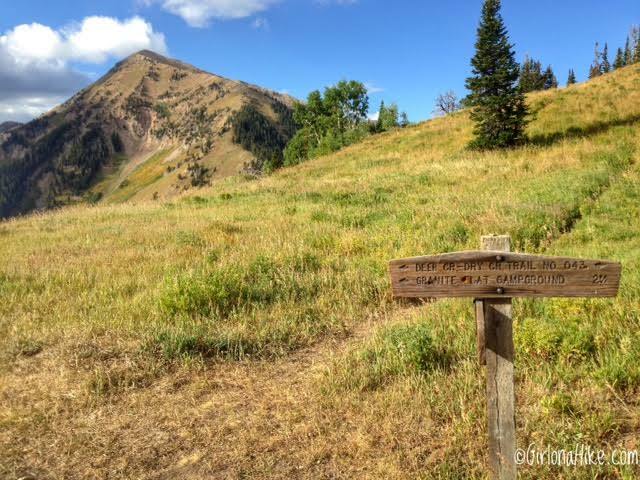 To get to Box Elder Peak, you'll want to continue straight, along the ridge. From this point to the summit, it took me another 1.5 hours. Looking the other direction (North) at the intersection, you have a view of the south side of the Pfeifferhorn (another awesome hike, but not described on my blog since I summited it in 2014). Continuing down the ridge, you'll reach this trail split. 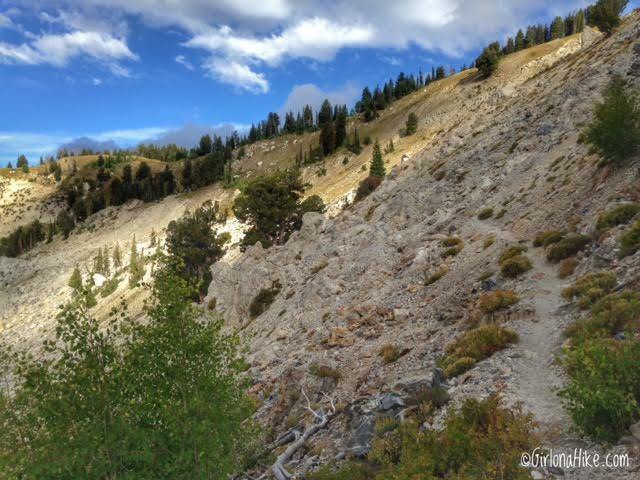 To reach the summit, go straight, and the trail becomes extremely steep. This trail split, is where you'll want to return to and turn at, if completing the loop as I am describing here. Of course, we had to first make the summit. 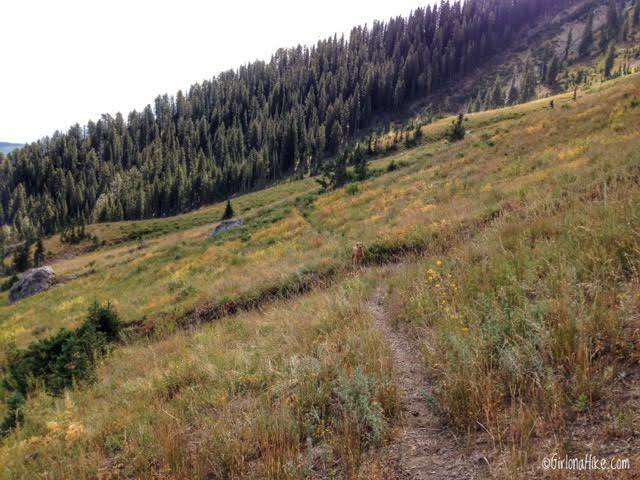 The trail was VERY steep, and this stretch from the saddle to the peak is the hardest section of the trail. Great views across the basin to the Little Cottonwood ridgeline - Lone Peak on the far left, the Pfeifferhorn again with the darkest cloud over it in the middle, & White Baldy to the far right. The trail to the summit stays on the West side of the ridge. The last 20 yards to the summit...Charlie in the lead. 3 hours 12 min to reach the summit - whew! That was a tough peak to summit. Point of the Mountain is below me, and the Oquirrh Mountains in the distance. Great view of Mt. Timpanogos to the south. See that little dot of a meadow below Timp? That's Julie Andrews Meadow! 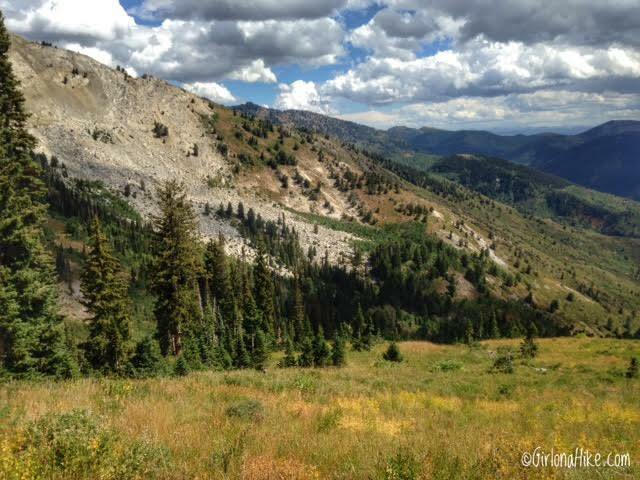 After summiting Box Elder, head back down to that last un-signed trail split, and follow it downhill from the saddle. This trail turns into White Canyon Trail (however, you won't see any signs for it for the next 2 miles or so). You can't tell by the photo, but when you are hiking down this, you can actually see the Dry Creek-Deer Creek trail you hiked up on across the canyon. The trail seems to head too far south, and just when you though you couldn't take it anymore, the trail gains a little more elevation. I felt a little discouraged at times, checking my route to make sure I was going the right way. 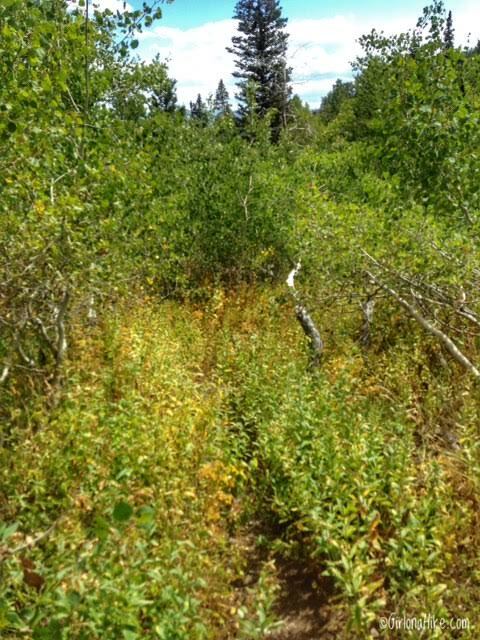 The trail does get a bit overgrown at times, but it's never hard to stay on the correct trail. Eventually, you'll reach a signed trail split. 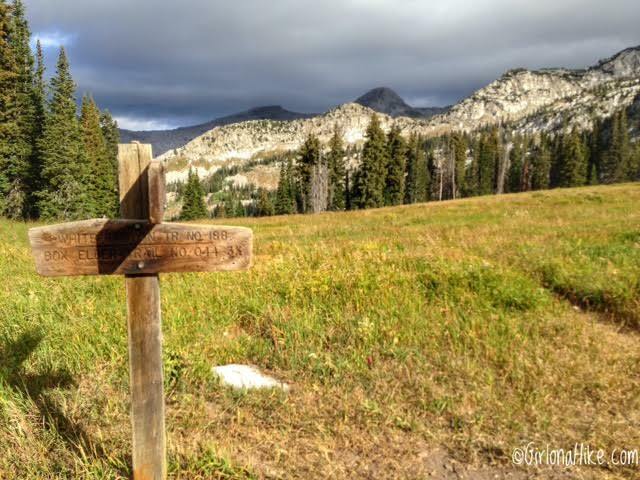 Turn left here, and you are now on the Box Elder Trail #044. 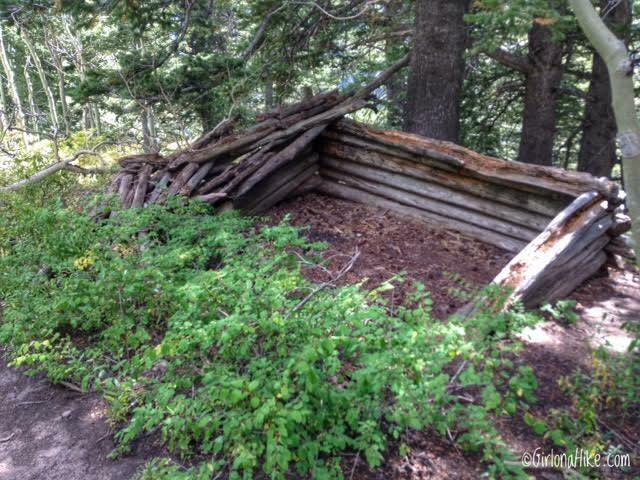 This route is another option for summiting Box Elder if you turn right. Passing by an old miners cabin on the right. After what seems like forever, you'll be back at the campgound. Make your way through it back to your car. My stats and route via Gaia GPS (my favorite outdoor/hiking app for tracking stats). I completed the loop in just over 6 hours. Cutest picture of Charlie - with his ears flapping in the wind - love it! 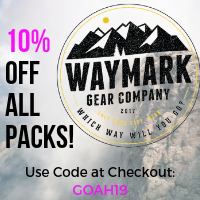 Congratulations on another peak in the books! You are one brave woman heading out there alone. I have no (and I mean no) sense of direction so when I see someone hiking like this in the wilderness alone, I get nervous. I don't think I would return...haha! 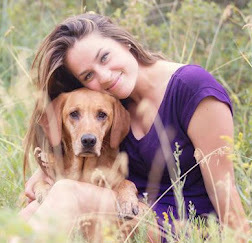 But I imagine Charlie could bring you home:) Love the photo of Charlie with his flying ears and, of course, the two of you snuggling:) Your summit shot is spectacular! 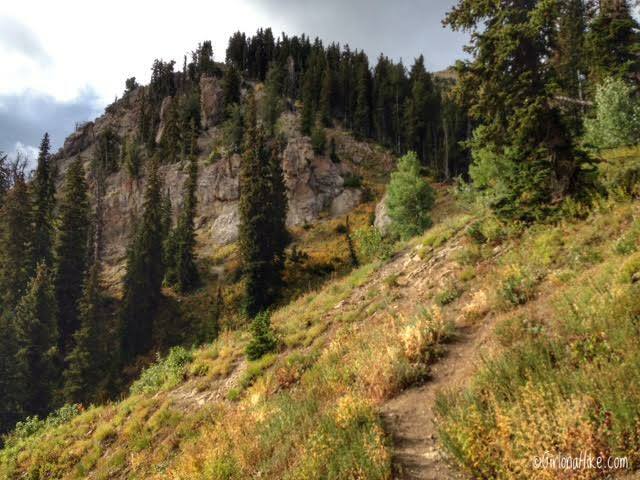 My favorite is Little Cottonwood Ridge with the cloud sitting on the peaks.